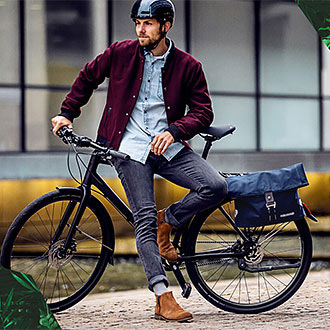 Guaranteed waterproof and incredibly durable, ORTLIEB bike bags, backpacks and travel bags have long enjoyed an excellent reputation among bike and outdoor enthusiasts. Our bike bags make for the perfect companion when you’re out biking, bikepacking or touring! Hikers, climbers, canoeists and many other adventurers rely on the quality of our outstanding gear. 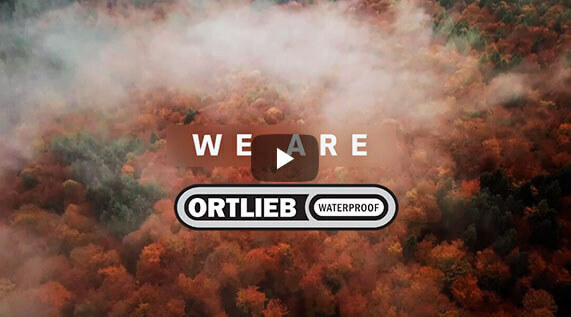 You’ll encounter waterproof ORTLIEB backpacks throughout the world, accompanying their owners on hikes in the Catskills, expeditions in the Himalayas and bike tours in the Australian Outback. 5 Year Warranty Our guarantee for defects which can be attributed to insufficient or defective processing of materials used by us covers the time period of 5 years from the date of purchase. Waterproof We work exclusively with durable materials and proven types of closures. For instance, we use high frequency welding to meet the highest of waterproofing specifications. Sustainability We are committed to the social code of sustainable development and we are aware that it is a long and tough path. 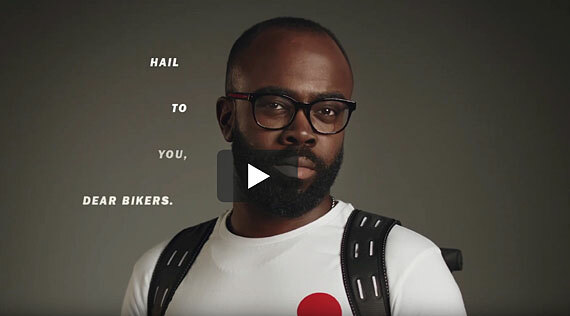 Among bikers, the ORTLIEB bike bag has enjoyed a reputation as indestructible from the very beginning. We are immensely proud of that reputation. Indeed, when it comes to manufacturing all of our bags and backpacks, we place just as much value on durability and service life as we do on their waterproof quality. This is why we offer a 5-year guarantee on all of our bike bags, courier bags and backpacks, hiking backpacks and trekking backpacks. We’re certain our ORTLIEB products will never leave you in the lurch! 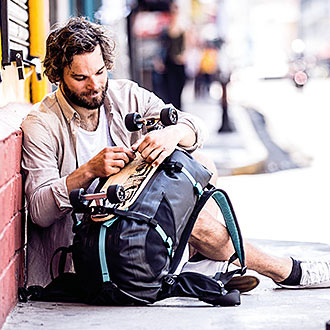 You can rest assured that the reliable waterproof properties of ORTLIEB backpacks, bike bags and travel bags will keep your equipment dry while you’re out on an extended bikepacking trip in the mountains or simply biking through the urban canyons of Manhattan on your way to work. ORTLIEB bike bags, backpacks or courier bags - ORTLIEB keep your belongings dry! 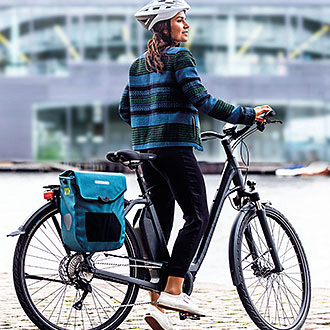 In addition to offering waterproof quality that can withstand the most inclement of weather, ORTLIEB bike bags and backpacks are manufactured at our facility in Germany in a way that helps to protect our climate. This is based on our commitment to resource conservation in all of our production stages as we aim to keep our carbon footprint as small as possible. 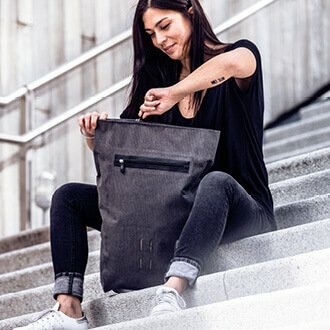 Every waterproof bike bag and backpack by ORTLIEB is a case of applied sustainability.